Posted by Carolyn Burns Bass in African-American literature, bestsellers, fiction, multi-cultural fiction, weekly topics, women's fiction. 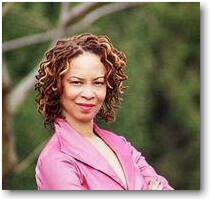 Guest post written by Virginia DeBerry, moderator of LitChat’s African-American Writers week. What is African American Literature? Books written by blacks? Books written about blacks? Both? Several years ago publishers concluded that “African American Lit” was a genre, one encompassing all books written by black authors. The first novel Donna Grant and I wrote two decades ago, Exposures, was published under the pseudonym Marie Joyce, and it had no black characters—zip, zero. The book was about a young Swedish-American heiress pursuing a career as a fashion photographer; our photo was on the back so it was no secret we were black—but what category should the novel go in? Novels like The Help and The Secret Life of Bees, written by white authors, are largely about black characters and these books are marketed to and read by both blacks and whites, while most of us African American writers struggle to get our work to “crossover” and reach a wider audience. Other than works considered literary fiction, our novels are marketed to and read by people who look like our characters, like us. We know we have white readers because many identify themselves that way in their letters and email. But for the most part, our work rarely crosses the invisible, artificial barrier that keeps our stories separate. Nigerian author Chimamanda Adichie spoke eloquently about this kind of literary divide in The Danger of a Single Story at a recent TED.com conference. 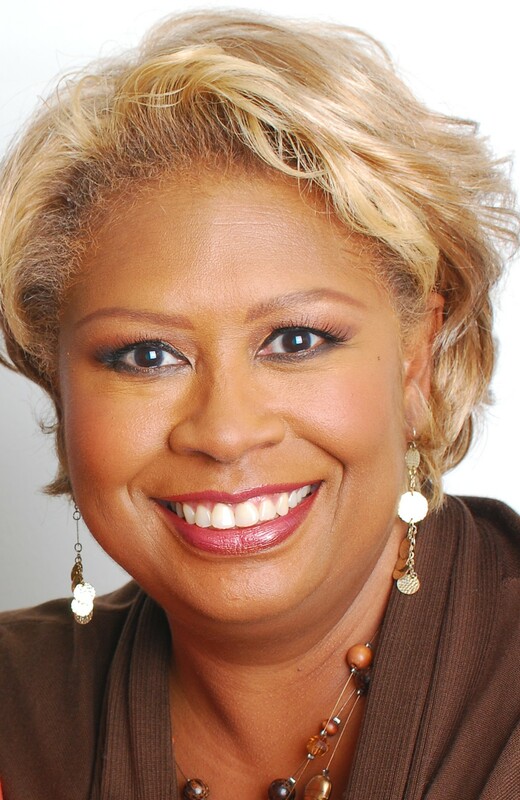 Connie Briscoe joins the conversation on Friday as guest host with Virginia DeBerry as moderator. Briscoe is a NY Times bestselling author of eight novels, including SISTERS & HUSBANDS, the recently released follow-up to her 1996 debut novel, SISTERS AND LOVERS. Read more about Briscoe at http://aalbc.com/authors/connie.htm. Most of the African American writers I know personally are women—and we write contemporary women’s fiction with characters who happen to be black. Ours are stories of struggle and triumph, loss, coping, love, life, lessons learned and not learned—subjects that affect all women. But we are labeled, marginalized by the market, before our books even make it to the shelf of your local bookstore or library. Together we have sold millions of books, but most white readers of women’s fiction have never heard of Connie Briscoe, Donna Hill, Bernice McFadden, Carleen Brice or DeBerry & Grant even though we read Jodi Piccoult, Anne Tyler, Amy Tan, Elizabeth Berg, Adrianna Trigiani and Jennifer Weiner—you get the picture. Though I must admit to being thrilled in discovering a recent article on Savannahnow.com comparing our last novel, What Doesn’t Kill You (along with half dozen or so other women’s fiction authors) to the work of Anita Shreve. On the flip side, a few weeks ago Chicklit Club listed their Ultimate 100 reads. One novel out of one hundred was by a black writer—Terry McMillan‘s Waiting to Exhale—which was published back in 1992. What actually comprises diversity in publishing and marketing is a conversation African American authors have been having quietly, among ourselves, for many years. This fall, Bernice McFadden’s piece on Galley Cat Seg-Book-Gation, my written in frustration Open Letter to Oprah Winfrey about the plight of mid-list black authors, the one year anniversary of Carleen Brice‘s blog Welcome White Folks, Rebecca TheBookLadysBlog on An Invitation to Dialogue on Diversity in Media after the Salon.com article about the “whitewashing” of yet another book cover, and young book bloggers like Reading in Color have shed more light on this issue—but not nearly enough. A look at the Publishers’ Weekly cover for their New Books and Trends in African American Publishing issue and the furor it sparked, speaks to the power and influence of perception. When I first hosted LitChat in March of last year, the topic we selected was Beyond Black and White–Writing in Color. Because I had become somewhat of a LitChat regular at that point and had been a vocal part of many discussions, I was surprised to discover that during that week, attendance dropped significantly and the make up of the chatters changed dramatically—by race. Who knows who’s “lurking” in the chatroom, but usually there are only a handful of black participants who make themselves known. I never mind my minority status, never think it matters, there are very few men in attendance as well. Besides—we who are LitChat regulars are present because we share an interest in books, writing and writers. Right? That week, however, chats were largely populated by black chatters (many not seen since); there were only a handful of non-African Americans present and accounted for. While our discussions were lively and evocative, we were once again having a conversation among ourselves, about a topic we know all too well—we were preaching to the choir. The following week LitChat returned to its regular demographics—without fanfare or comment. Did the regular LitChat folks think the subject didn’t apply them and their reading habits? Did the blacks who did drop in feel welcome because of the topic but unwelcome/uncomfortable at other times? Is race and racism still on the taboo topic list? Was everybody just busy? Next week on LitChat let’s discuss possible reasons for this puzzling literary dichotomy, explore African American writers (note I didn’t say “literature”) more fully and see where the conversation takes us. 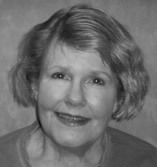 Virginia DeBerry is the online persona and tweeting half of the writing team of DeBerry & Grant, author of seven novels. Their latest novel, Uptown, will be published by Touchstone/Simon&Schuster in March. Join the campaign to promote book sales this holiday season. 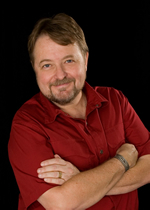 Go to http://bit.ly/W8DsW and drape your Twitter avatar with a BOOKS ARE GREAT GIFTS twibbon. Writing is more than just lining up words on a page in the attempt to convey an idea, reveal a fact or tell a story. Good writing is more than just grammatically perfect sentences one after another. Writers worth their ink know that behind every good book is great editing. The editing process begins with the writer. Some writers self-edit as they compose, while others concentrate on the flow and concept as they complete their manuscripts. No matter their writing habits and preferences, the successful writer knows that writing needs editing and it begins with oneself. This week in LitChat we’ll discuss the craft of writing and self-editing. On Friday, November 20, Renni Browne joins us as guest host of LitChat. 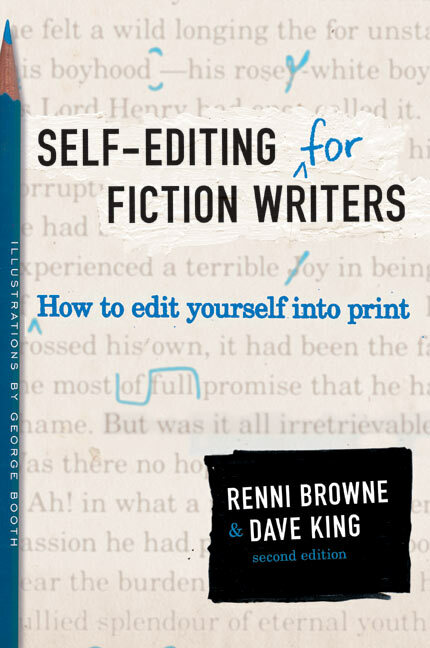 Renni is co-author (with Dave King) of the writing handbook, Self-Editing for Fiction Writers. There are many good books on the writing craft, but few tackle the nuts and bolts of what to cut, what to keep, and how to make it better. Renni has edited fiction and nonfiction at several prestigious publishing houses, including a stint as senior editor at William Morrow. Citing a lack of time to effectively edit the titles she acquired, Renni left mainstream publishing in 1979 and founded The Editorial Department in 1980. In 1991 she and Dave King wrote Self-Editing for Fiction Writers, now in its fifth printing and second edition from HarperCollins. She has written book reviews and magazine articles and appeared on NPR. Over the years Renni has given lectures, workshops, and seminars around the country on self-editing, dialogue, getting published, and other topics of interest to writers. She’s originally from Charlotte, NC, and now lives in Asheville with two cats. Hobbies include old-time music festivals, walks in the mountains, and reading fiction. She especially enjoys Elizabeth George’s and Lee Smith’s fiction. Renni will be tweeting during LitChat as @EditorialDept. Posted by Carolyn Burns Bass in fiction, literary fiction, multi-cultural fiction, weekly topics. Some of the most powerful novels of our age have been steeped in cultures other than our own. Amy Tan, Salman Rushdie, Toni Morrison, and Gabriel García Márquez are among the most well-known authors whose books have distinctive ethnic settings. While the cultural flavor of these authors and the hundreds of other authors writing multicultural fiction, the thread that runs through them all is great storytelling. This week in LitChat we’ll talk about the ways that culture informs and directs storytelling. 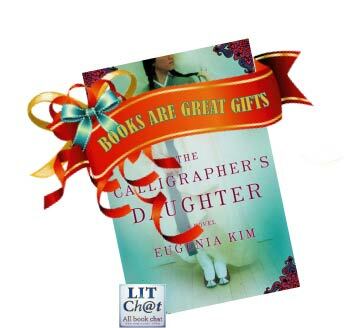 Our guest host on Friday, August 21st, is Eugenia Kim, whose debut novel The Calligrapher’s Daughter, launches August 18th. Kim is the daughter of Korean immigrant parents who came to America shortly after the Pacific War. She has published short stories and essays in journals and anthologies, including Echoes Upon Echoes: New Korean American Writings, and is an MFA graduate of Bennington College. She lives in Washington, D.C., with her husband and son.